It was a marvelous party….Angel Care’s angels showed off their “Wings of Courage” in the just released calendar for 2014 at The Bellevue Club. Friends, family and fans were on hand to meet and greet the ‘angels’, sip Girly Girl wine and have their photo taken in front of a set of wings carved in ice! Calendars are on sale now for only $15. It has been my honor to work with both men and women who are breast cancer survivors over the past few years. The ‘angels’ of AngelCare are truly inspiring in their fight to survive, their enthusiasm for life and the courage to share their stories with others. The Winters House in Bellevue was the site of this year’s calendar launch. Click here to see images from the event. 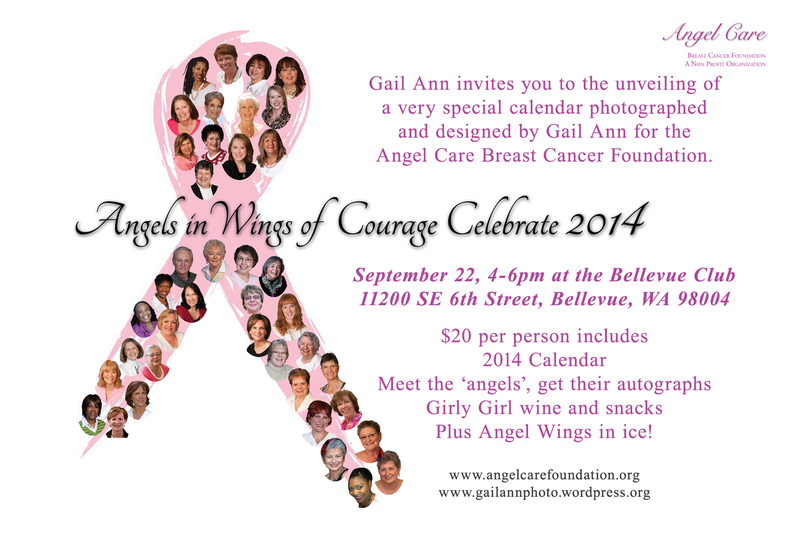 Take a peek at the 2013 Angels and purchase your own calendar by contacting the Angel Care Breast Cancer Foundation located right here in the Pacific northwest. Angel Care Any Occasion Cards on sale now! Cards can be purchased at Gail Ann Photography or by contacting Angel Care directly. View photos from kickoff party here! During this month’s artwalk I invite you to stop by Gail Ann Photography and help support the Angel Care Breast Cancer Foundation. 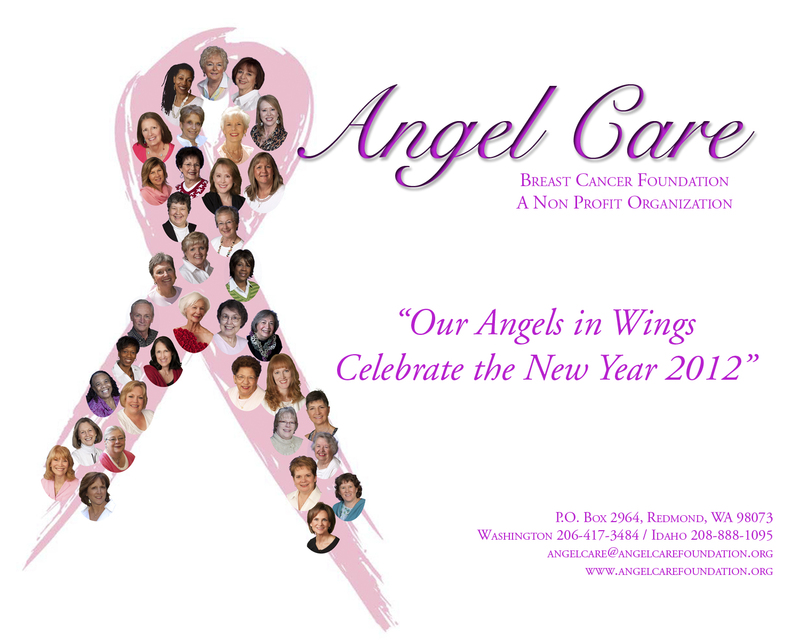 Gail Ann was chosen to photograph the twelve ‘angels’ for this year’s calendar “Faces of Angel Care, Unveiling the New Year 2010” All of the angels are breast cancer survivors and trained to provide one on one emotional care to those newly diagnosed. Proceeds go to the Angel Care Foundation. Purchase your calendar tonight, $15 each and help make a difference. The 2010 calendar models of Angel Care were on hand to show off the 2010 Faces of Angel Care calendar at Park Place Books in Kirkland. 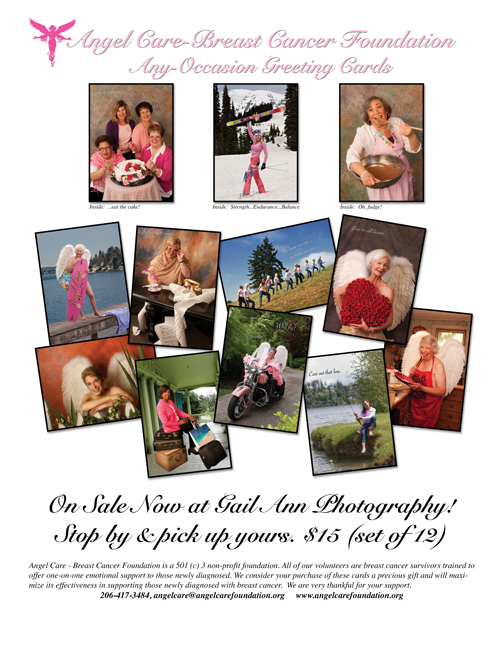 The public can purchase their calendar thru the Angel Care Breast Cancer Foundation, Amazon.com, or at Gail Ann Studio & Gallery in West Seattle. Here’s a peek at the festivities….Click here!